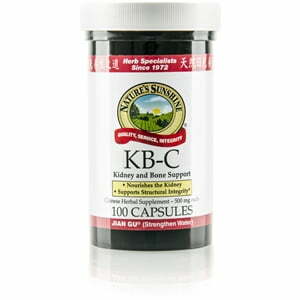 Nature’s Sunshine draws on traditional Chinese medicine in the blend of herbs that make up its KB-C, Chinese, formula. The herbs are used in Chinese medicine to support kidney and bone function; in fact, the Chinese name for the formula means “strengthen the bones.” It supports the element of water, according to Chinese philosophy. 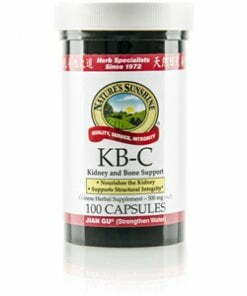 KB-C assists in promoting the health of the urinary system by eliminating water and the structural system by support the joints. It includes achyranthes and eucommia.